I don't ask for much but if I could I would ask for this. I just love this set up. What do you think? Blogger ate my first comment, I think. 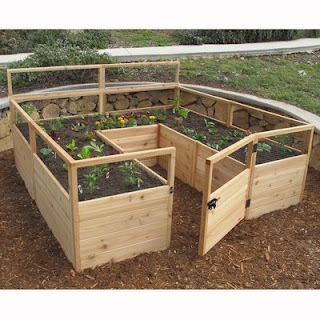 But I would love to have a raised garden like this! That is cool! I want it too!!! Wow! I've given up veggie gardens. I cannot argue with the critters!!! !